The founder of Ikea has died. Sweden’s Ingvar Kamprad was 91. 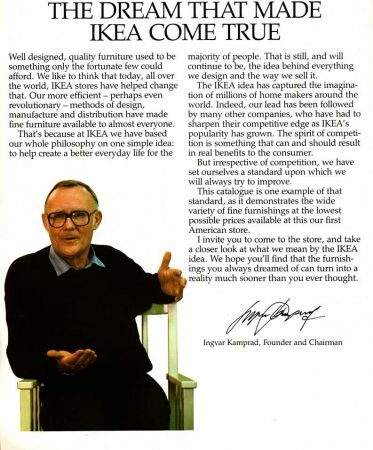 His plain appearance and message of comfortably-lived simplicity belied a seriously complicated person, which is probably to be expected from someone who could create, grow, and manage a company the size of Ikea. He invented it, while the rest of us just shopped at Ikea — enough to make him, by some estimates, the 8th richest man in the world. Kamprad’s accomplishments with Ikea were immense – and from our perspective, the Ikea catalog itself is amazing. 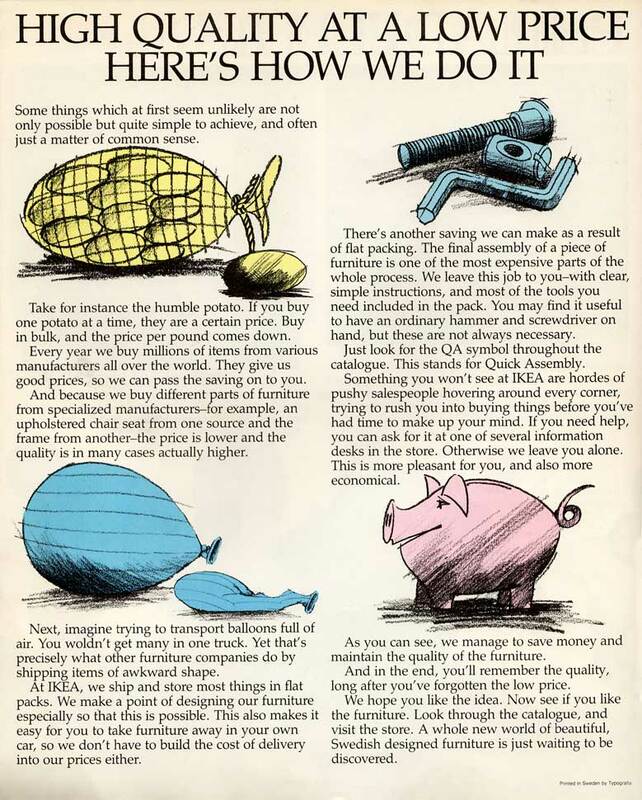 The first US Ikea catalog was issued in 1985 to go with their first American store, and it had a lot of explaining to do. The cover explained the value proposition, inside pages tried to explain how it was possible, and Mr. Kamprad was on hand to explain his philosophy. 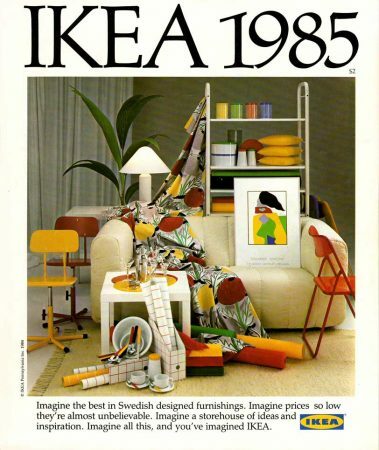 Decades later, the Ikea catalog is a survivor, adapting to the times yet remaining timeless in its contemporary furniture and home goods offerings. The products on the cover of that inaugural 1985 US Catalog just barely show their age and the basic philosophy hasn’t aged at all.